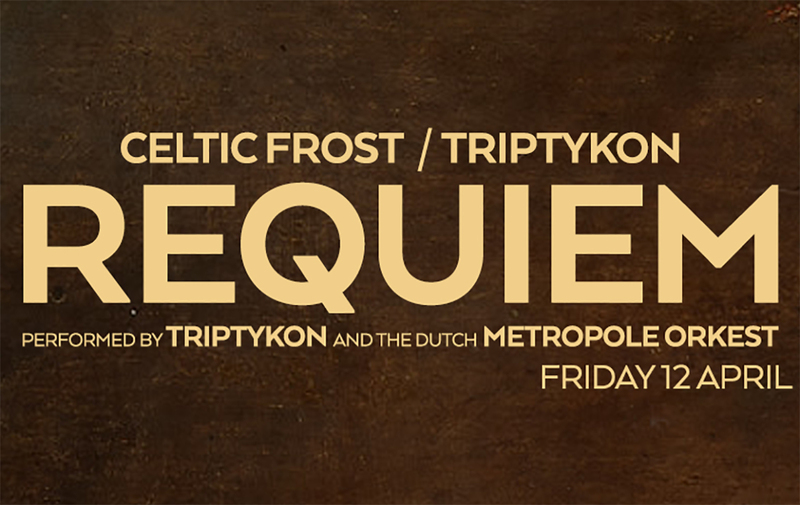 During Roadburn Festival 2019, Tom Gabriel Warrior, his band Triptycon and Metropole Orkest will play a three part Requiem in 013 Tilburg. Tom Gabriel Warrior was asked by the festival to play a three part Requiem with his band. The first part of the Requiem is called Rex Irae and could be heard on the album ‘Into the Pandemonium’ by Celtic Frost. The third part, Winter, was on the Celtic Frost album ‘Monotheist’. The second part was missing and will now be exclusively written for Roadburn. Triptykon is a Swiss gothic metal band, formed in 2008 by Tom Gabriel Fischer (Warrior) who is the founder of heavy metal bands Hellhammer, Celtic Frost and Apollyon Sun. The time is with reservation. Single day tickets will go on sale on Thursday, December 13. Weekend tickets are on sale now.